The mayor of Hackney has been appointed by London mayor Sadiq Khan as his deputy for planning, regeneration and skills. 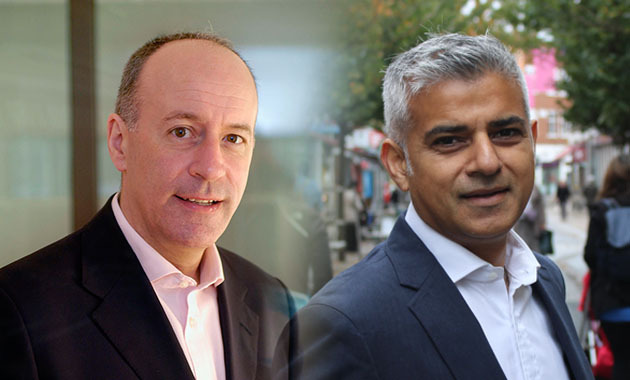 Jules Pipe, who became the first directly elected mayor of Hackney in 2002, will focus on providing young people with skills for their future careers, alongside looking at housing and infrastructure development. Mr Pipe became the first directly elected mayor of Hackney in 2002, and has served as chair of London Councils since June 2010. He will stand down from both these roles next month to start his full-time role at City Hall. Mr Pipe declared himself “delighted to be working with Sadiq” and “passionate about London”. He added: “It is vital we use all the levers of City Hall to pursue a vision for the capital that delivers all its key needs. Commenting on the appointment, Mr Khan said that he “brings to City Hall extensive knowledge of the capital, and the key challenges it faces”. “He and I share a determination to ensure London’s prosperity is shared by all Londoners, and that we plan ahead to equip the city for its future economic, infrastructure, skills and housing needs,” he added. Mary Vine-Morris, London region director for the Association of Colleges, gave her support for Mr Pipe’s appointment. She said: “Jules Pipe has a wealth of knowledge and understanding of London and we are pleased to see him appointed as deputy mayor for planning, regeneration and skills. “Area reviews and the future devolution of skills funding are two of the issues most concerning colleges. Mr Khan became the city’s first Muslim mayor, after beating conservative Zac Goldsmith by 1,310,143 votes to 994,614 on May 7. He subsequently told FE Week what he hopes to achieve for the sector. “I was lucky to get a good education and go on to university, but I want all Londoners to have the same opportunities to get on in life that this great city gave me – whether that’s through apprenticeships, FE or other routes to employment,” said Mr Khan.